Forest Green Rovers chairman Trevor Horsley claims that the Blue Square Premier club are in "dire straits". The club have been given a winding-up order from HM Revenue and Customs and are struggling to meet their debts. The deadline for that was last Friday and the club are now expecting to be petitioned in the coming week. "We had a shareholders meeting and I told them the situation. We need some capital to invest in the club," Horsley told BBC Gloucestershire. "We've had two of these orders [from HMRC] in the past three months but have managed to fight them off. "We need to find £200,000 to £300,000. We need about £100,000 immediately for the Revenue and wages and the other £200,000 by the middle of the summer for the other creditors. "Things are looking very grim for the club. "We need to get as many people from within the community to get behind us so we can get to a situation which we can manage and get the club back on an even keel. 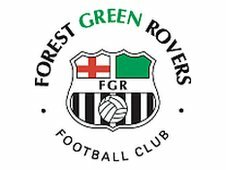 Forest Green, founded in 1889, are facing a battle to avoid the drop from the Blue Square Premier. Saturday's win at Kettering was only the second in eight games for Dave Hockaday's side - and they are still four points adrift of safety. But there are only three sides to go down this season, as one Blue Square Premier club, Chester City, have already been liquidated this season. They were wound up in the High Court over an unpaid tax debt and were thrown out of the Conference. Business expert Mike Warburton, from accountants Grant Thornton, said Horsley had been "very straight and honest" in his appraisal of the situation. "There are an awful lot of sports clubs up and down the county where they have put a lot of money into the clubs when times were good," he said. "They believed fans would continue to come and the finances would be there but then got hit by the recession. "So they are by no means alone in this situation. The hard facts are that people cannot afford to go as often and the financial pressures are still there. "It is a hard fact that a significant portion of football or rugby clubs are in financial difficulty. "It could be curtains. They've fought it off before - but that's a lot of money to find."